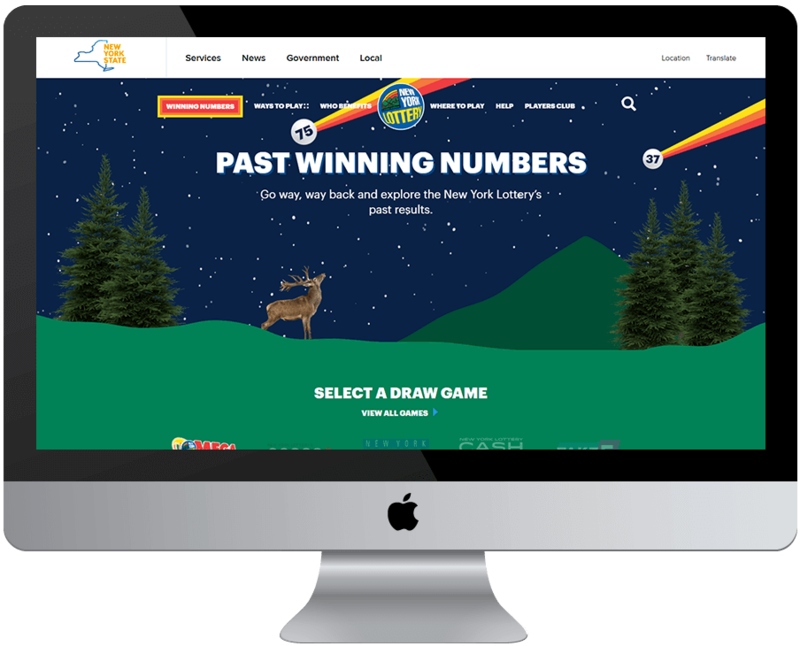 Squeaky, an Empire State Diversity Supplier, was engaged by NY Lottery and McCann MRM for the redevelopment of the consumer-facing website for the New York State Gaming Commission, Division of Lottery (NYL), as well as the creation of marketing collateral including rich media and out of home banner ads. As MRM’s digital development partner, we applied our creative and technical expertise to advise on both the UX process and the development. Working within an Agile environment we coded the front-end and back-end of the site in Drupal. 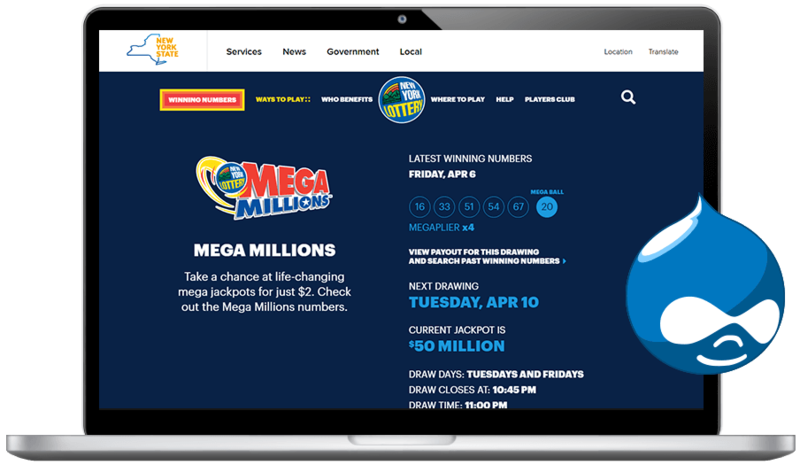 Working in collaboration with MRM the project recently launched to support lottery players with a unique, engaging website position on all digital devices. 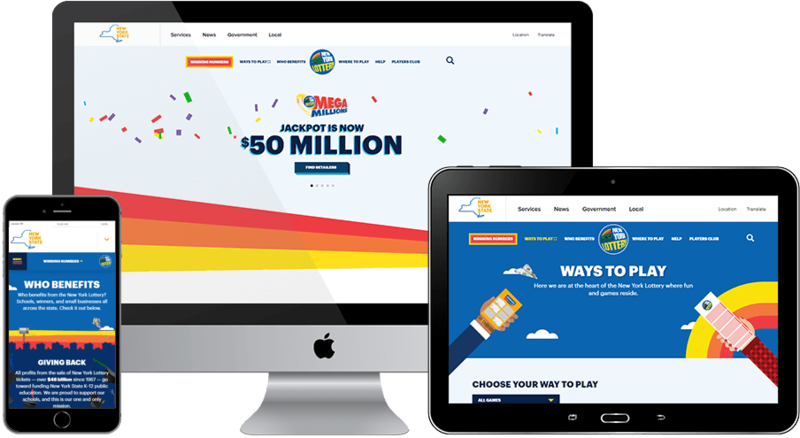 Supporting MRM's lead role for the UX and UI phase of the project, we utilized our expertise to improve the user experience of the website. 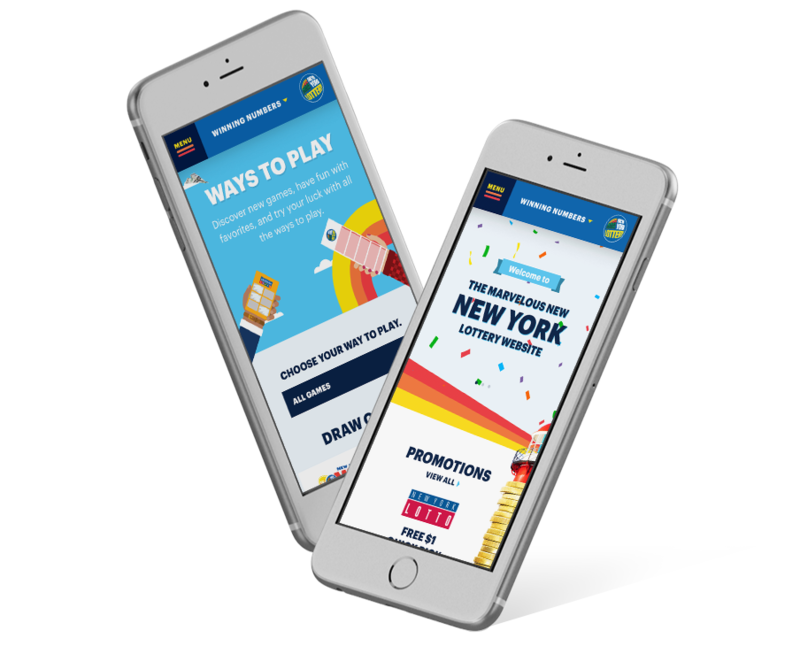 In addition to creating pages that aligned with the new look and feel, we provided responsive solutions for the break points between desktop and mobile, ensuring accuracy at all screen sizes. The NYL site included many engaging animations. As such, Squeaky tested and ensured that all HTML 5 animation worked well across all browsers and devices, and optimized code for optimal load time. Using state mandated requirements, the CMS solution employed by NYL was Drupal which allowed us to leverage our extensive experience with the platform. This solution provided the ability to easily automate data and update content though a mix of native functionality and customized modules that worked within an identified workflow.